The GP IT Futures Buying Catalogue is a digital marketplace for healthcare staff to purchase assured software and services from suppliers. Primary users groups are suppliers who want to sell their services to healthcare staff and buyers of software/IT for general practice and primary care establishments. The team has a good understanding of their broad users groups (suppliers, buyers, and end-users) and sub-categories of core users (technical group, procurement leads, GPs’ admins, IT and practitioners). They have engaged throughout discovery and alpha with users and iterated based on their needs. They have shown several examples where they changed direction based on user feedback and needs. This includes learning that video demonstrations of each product/service may not work as intended. The team overcame some limitations/restrictions to test with some of the core users group due to commercial implications. They have compensated this by testing with proxy users and group engagements, such as webinars. Test end-to-end with all user groups. Make sure they test with those who will be managing the service in the future. The team had dedicated user research resources during discovery and most of alpha. When the user researcher left the team at the end of alpha, they compensated by sharing research duties amongst themselves. This showed great commitment to user research but should be considered a temporary solution that needs to be amended in beta. Fill the user researcher vacancy. The team needs to have a dedicated user researcher in place for private beta. The team has outlined a high-level plan for testing core capabilities in private beta for a buyers journey. This requires more thought and detail. Put a solid plan in place to test the current suppliers’ journey. Do more accessibility testing. Further research with users with diverse accessibility needs is required. They had a multidisciplinary team for discovery and alpha. They work in an agile manner. They use the tools one would expect of an agile team. We heard of cross-organisation collaboration, especially with the Digital Marketplace team. They have the ability to iterate and improve the service. They feel empowered to test ideas and cease working on things if the don’t get evidence that they are valuable. The team have a good mix of systems that are easily portable. There is excellent design for scalability. Cloud based tools were used. The team did daily updates throughout pre-production and staging environments to live. They have already researched alternative CRMs. Plan for many simultaneous users. Speed up page progress. Ideally to less than 3 seconds. Explore whether two-factor authentication (2FA) is needed for users (front-end and back-end). Continue to code in the open under an appropriate license. Resolve minor usability issues (checked using HTML checker). Not solely use MS Excel files. Offer ODS, CSV and other open document formats. The current iteration works with all major browsers. The team has evidence that users will be using desktops but "reader mode" on mobile worked well nonetheless, indicating good semantic markup. Ensure that the service will be upgraded with each major browser release. The organisation they are part of (NHS Digital) has plans and resources allocated for when services are down. The team are using containers so they can replace or add components without stopping or shutting down the service if necessary. We saw multiple prototypes that were iterated upon. They understand the limitations of the current service and have acted on them. The automated tests of current iteration have passed WCAG2.1. The team worked within some commercial restrictions (cannot give any competitive advantage to suppliers) but still managed to test with users. In the next phase the commercial restrictions should not be as prevalent, so look forward to more end to end testing showing how suppliers could get on the framework first time. Test with more users with diverse accessibility needs. Dedicate more time to other elements of the end to end service. We saw the service explored broadly in discovery and alpha but clearly more recent effort has been put into the supplier registration journey. The team needs to make sure they work on the rest of the service. Publish a roadmap that relevant stakeholders can engage with. The team are using GOV.UK and NHS design patterns and style guides. Review that the components they are using are up to date and consistent with current GOV.UK and NHS design systems. Explore further what process could exist if the site is offline. The team has reviewed lots of data on the current service. Privacy concerns were taken into account when choosing an analytics provider. Have a more detailed analytics plan for beta before commencing. Have the skills in the team to get actionable insights from whichever analytics software they use. The team has a list of KPIs. They have benchmarked the current service. They are in discussion with the performance platform to report on mandatory KPIs. Eventually make plans to test with a minister or relevant senior owner of the service within the NHS. The buying catalogue discovery began in 2017 but this was the teams first assessment. We were shown more than what you would expect in an alpha stage. The team must be more punctual with arranging assessments before they go into public beta. The team must also submit a spend control form for the next phase (Private Beta) to the Department of Health and Social Care Digital team. 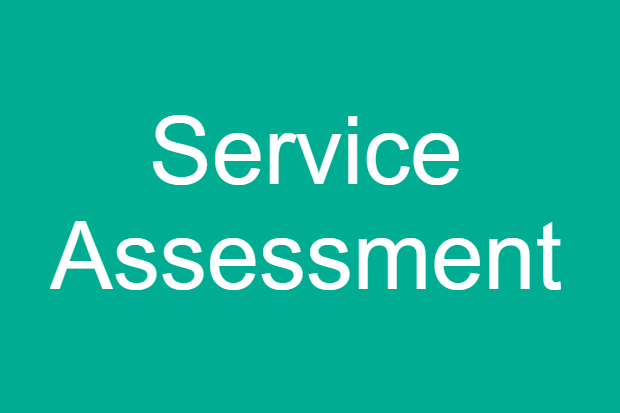 During the assessment the panel clarified that by passing an alpha assessment that would allow them to go into a private beta, not to make the service “live”. The panel would expect the team to restrict access to the service, invite users to use it and get more feedback before the next assessment.